George Gabriel Stokes was born on August 13, 1819, in Skreen, County Sligo, Ireland. At the age of 13, he embarked on an educational journey, leaving Skreen for a school in Dublin. A few years later, he crossed the Irish Sea to attend Bristol College in England, where he studied mathematics. Sir George Gabriel Stokes. Image in the public domain in the United States, via Wikimedia Commons. The next stop for Stokes was Pembroke College in Cambridge, which he attended in the late 1830s. In 1841, he graduated as First Smith’s Prizeman and Senior Wrangler, two of the school’s top awards for mathematics. Pembroke College also offered Stokes a fellowship, which he retained until his marriage in 1857. At the time, fellows had to be unmarried, so Stokes resigned. The rule against marriage was later eliminated and Stokes retook his fellowship, remaining in the position until he was elected to a mastership in 1902. 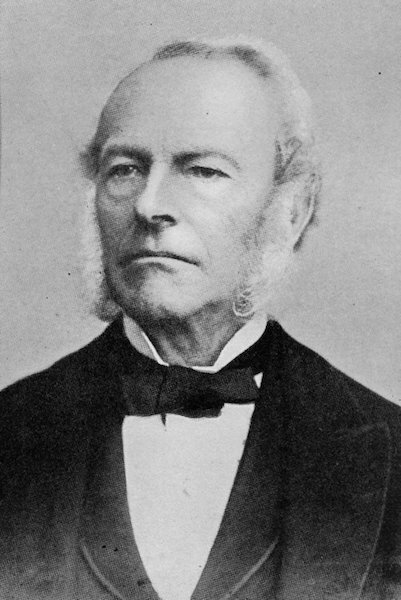 In addition to his fellowship, Stokes became the Lucasian Professor of Mathematics at Cambridge University in 1849 and joined the Royal Society in 1851. In 1854, he was appointed secretary for the Royal Society and was later elected its president. While participating in these various organizations, Stokes made many key advancements in the fields of fluid dynamics, optics, geodesy, and more. George Gabriel Stokes’ work in the early 1840s focused on fluid motion, particularly the motion of incompressible fluids. By 1845, he expanded his study, publishing a paper about the internal friction of fluids in motion. His work, along with research from Navier, Poisson, and Saint-Venant, helped form the famous Navier-Stokes equations. Solving these equations enables engineers to determine the velocity and pressure field for fluid flow with a constant density and viscosity. 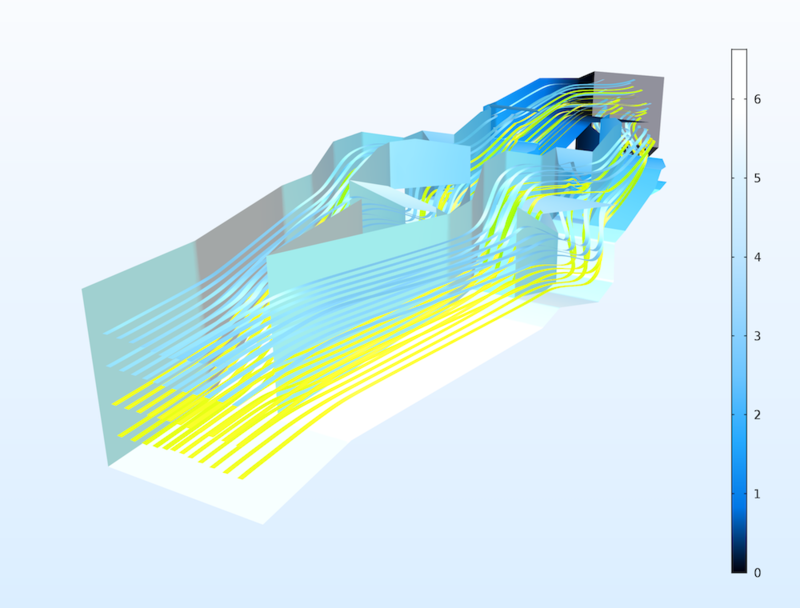 The Navier-Stokes equations have become a staple for engineers and are imperative to fluid flow modeling. 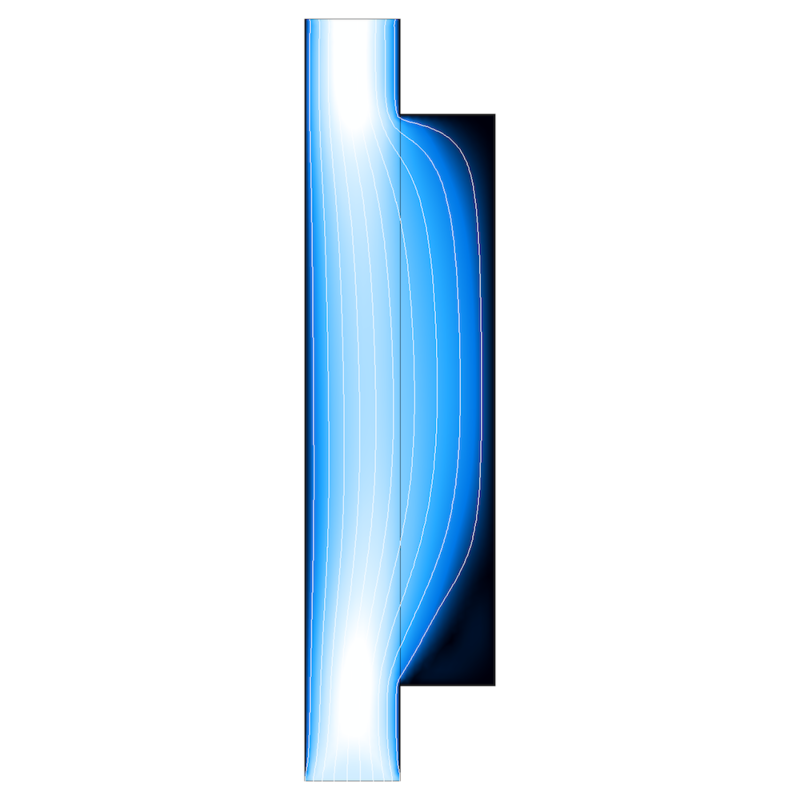 Using the Navier-Stokes equations to study Forchheimer flow. 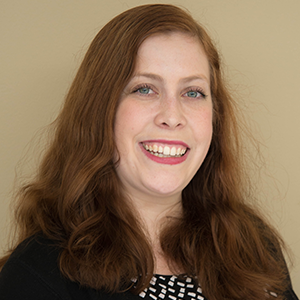 Engineers working with microfluidic and lubrication systems may also find mention of Stokes’ name when analyzing flows with very low Reynolds numbers (also called creeping flows). In these situations, engineers often use the Stokes equations to model flow. Further, the limit of Re → 0 is known as Stokes flow. A micromixer model in which the Stokes equations are used. Similar to Galileo, Stokes was also interested in pendulums. He published a paper on hydrodynamics that details the effect of the internal friction of fluids on a pendulum’s motion. Aside from fluid dynamics, George Gabriel Stokes gravitated toward many other areas of study. One such field is optics, for which Stokes wrote about the aberration of light, diffraction, and the wave theory of light. Notably, he described the phenomenon of fluorescence. He also researched other optics-related topics, such as Fraunhofer lines. 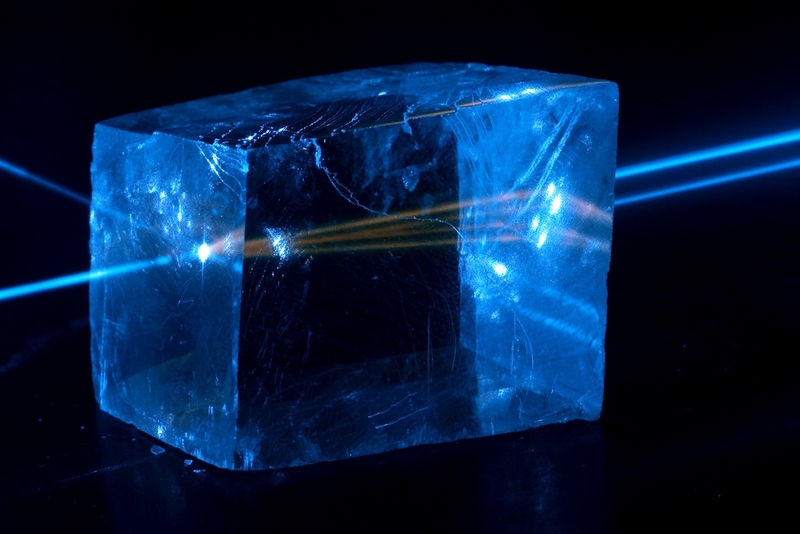 An example of fluorescence, a phenomenon involving the emission of absorbed light in materials like fluorspar. Image by Jan Pavelka — Own work. Licensed under CC BY-SA 4.0, via Wikimedia Commons. Additionally, Stokes studied the variation of gravity at different points on Earth’s surface. His work in this area helped form the field of geodesy. Stokes’ interests expanded to the skies as well: He used his research to explain the suspension and formation of clouds in the atmosphere. George Gabriel Stokes’ innovative research was recognized during his lifetime and earned him various awards and decorations. For instance, Stokes won the Rumford Medal in 1852 and the Copley Medal in 1893. In 1889, Stokes was made a baronet, which resulted in a new title: Sir George Gabriel Stokes, 1st Baronet. Today, Stokes’ name is found in various equations and laws, such as the Stokes shift, Stokes line, and Stokes’ theorem. A unit for measuring kinematic viscosity, the stokes (St), is named after him. As today is his birthday, let’s take the time to celebrate Stokes’ achievements!